School uniform is the bane of many a parents life! Even now I’m completely baffled as to how my children go to school in pristine white tops and come home looking like they have been dragged through a hedge backwards! Not only that, but the number of times they seem to take off jumpers during the day and have literally no idea where they were, or what they were doing when they took it off! 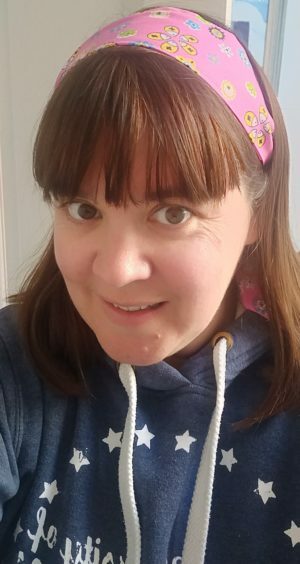 As both a parent and a teacher, school uniform used to drive me to the brink of despair, but over the years I’ve developed some school uniform hacks which have, if not solved every problem, certainly given me more breathing space before needing to go out and buy more!! Patent shoes look absolutely beautiful when they are first bought, but within a few weeks you can almost guarantee the patent will be scuffed off and they no longer look nice! BUT – easy hack is to paint the front of the shoes with clear nail polish! One coat every few weeks guarantees to keep those shoes scuff resistant! If the shoes already have scuffs then use black nail polish – the shoes will be back to their shiny goodness in no time at all! How on earth do the children get their white tops so very dirty? I understand that they may drop food down them, but whiteboard pen?? And those various mysterious stains? Well, a quick hack to get your tops whiter than white is to pop a regular dishwasher tablet into the wash with the tops. Include it alongside your usual detergent and your tops will come out sparklingly white! We know the drill. Every item of clothing must be labelled (although I draw the line at socks and underwear – why would the children need to ever take these off!). So, although you can buy lots of great stickers and iron on labels, it’s even easier to just grab a sharpie! As a teacher I would spend HOURS searching through jumpers for tiny little labels – it used to drive me to despair. So as a parent, I write on the inside of jumpers, inside collars of tops, inside PE shorts, in big bold letters with a black sharpie. It’s easy to read the name both for your child and for the teacher – win win! This was a new one to me that I hadn’t come across before the children went to school. The PTA at my children’s school runs a fabulous scheme whereby parents donate any old uniform, the PTA wash it and then sell it back to parents for 50p a piece! Yep, 50p!! I have clothed my children for under £10 and we have so much uniform we don’t need to wash it for 2 weeks. Check with the school to see if your PTA does that, and if they don’t, think about suggesting it. It’s been a lifesaver! I’m not that keen on ironing for myself, and I certainly don’t want to be spending the whole of Sunday ironing 2 sets of uniform. There are two ways to accomplish this. Either buy non iron uniform (what a brilliant idea!) 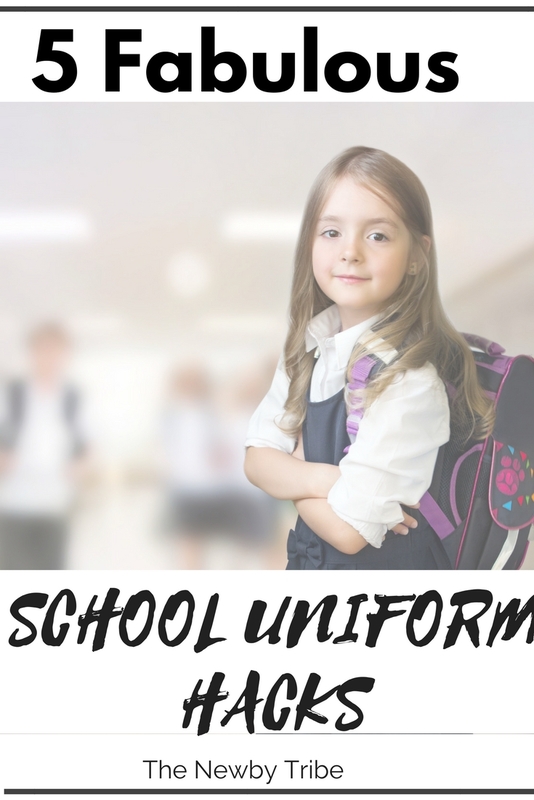 or, when the uniform comes out of the wash, hang it up straight away – children’s uniforms are mostly designed to be easy wear and the creases should just fall out. So those are my top 5 school uniform hacks which have made my life so much easier during the school year. I’d love to know any that you use – let me know in the comments below! I start BIG school in September and these are great school uniform hacks! Going to show my mummy the one about the black nail polish! Good luck in big school :). And the black nail polish is such a shoe saver! My boy is starting reception so I’m new to this. Amazing tips especially for white t-shirts staying white. Thanks! One of the many reasons I’m anti-school uniform. As if mums don’t have enough to worry about! Brilliant tips! All schools should recycle the uniform. What a mega idea!! This is amazing my daughter is starting school next week and I’m definitely jotting these down!!! Great ideas! I’d never heard about the nail varnish on patent leather before – what a fab idea! I will definitely be needing this as my daughter has a beautiful new pair of black patent shoes and I just know they will be scuffed by the end of the first week (if I’m lucky!) Haha. Definitely agreeing with you that ironing can be time-consuming. My daughter’s uniform are iron-free and I’m glad it’s that way. Anyways, thanks for sharing this article with us! Keep up the great work! I’m all for buying lots of uniform. We usually have 5-6 – because I do 1 wash load a week for him, and that allows for one to go missing (although we usually come back with more than he went to school with, even coming home with girl’s cardigans as well as his own sweatshirt). And I sharpie out scuffs on boys shoes. But I’m a sticker labeller. I tried sharpies on the labels but it’s not good for handmedowns, and on fabric it can bleed a little and over time wash blury.